"I have known Rascii for a good many years, from the time when he had no website whatsoever, and I know all about his determination for his site to succeed and be a central part of the community. The good news is, he got there." Rascii became a regular visitor to JRChat sometime during 2000. Pretty soon he began work on his own website, Creatures Caves. This was created on Geocities and was not initially as advanced as it would later be seen as. 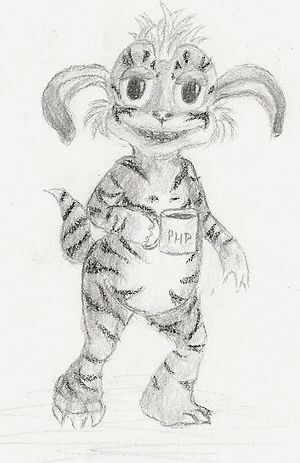 Rascii was always excited by the "behind the scenes" stuff on the bigger websites of the time such as Tim's Creature Creations, Helen's Bibble or Dan's Millennium Creatures. These websites were the first of the generation to use dynamic techology such as PHP and Perl to create interactive and easily maintainable pages -- webmasters no longer had to program all the HTML by hand. Rascii loved the idea of being able to update his news from his website, or allow other users to have a role in his own site. "It was good to see new talent coming into the community, because that is what keeps us thriving." Many were surprised when Creatures Caves sprung up in the late summer of 2000. It was feature packed compared to some other sites of the time and had an attractive but rather bright blue-on-white design which would be toned down in later revisions. For many, the best part was a Creatures-themed pong-like game called Phong, described by some as being 'very cool'. It took about two years of hard work for Creatures Caves to get to a relatively finished state. After seeing the great forums pop up and then pop off around the community, Rascii introduced the hand-coded Creatures Caves forums that became a firm favourite among many users. Due in part to the popularity of these forums, Creatures Caves became itself a sub-community, having it's own regular visitors who employed the community-building features. In 2002 and 2003, when many believe the community was at a low ebb, Creatures Caves stayed a strong force resistant to, if not unaffected by, any community surrounding it. During this era was developed Survivor, a game which managed to get many involved and more users excited about what the community could be. This page was last modified on 28 April 2005, at 22:10.